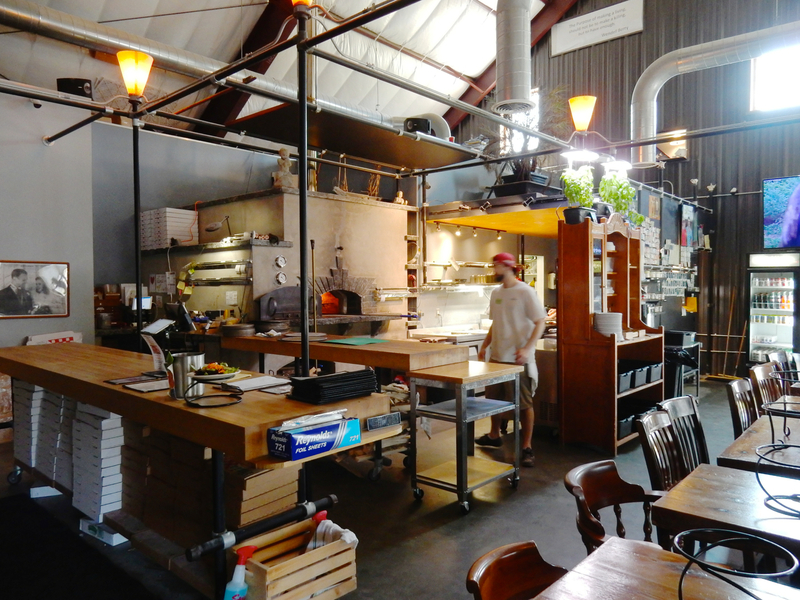 WHY GO: A case can be made that Burlington VT – or more generally, the whole of Vermont – begat the Farm to Table dining movement. 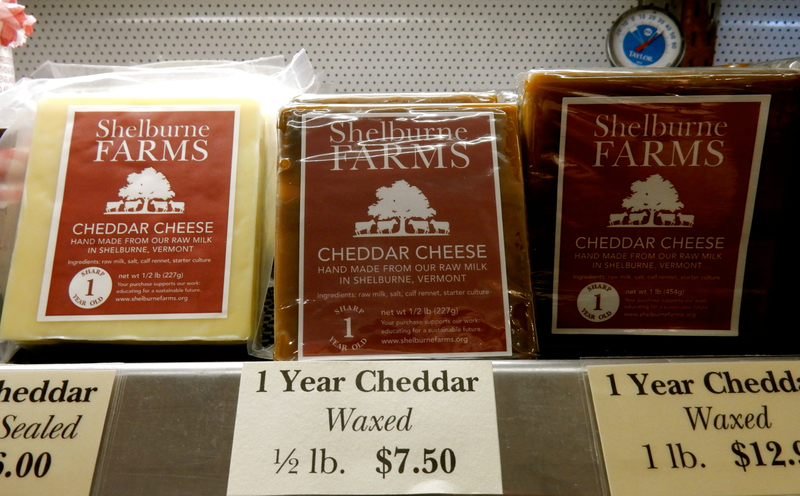 Asking about the “best” restaurant in town – “and it has to source locally” – one is met with incredulous looks and the claim, “every restaurant here buys from local farms.” So, yeah, there’s the fantastic food aspect of Burlington. TOUR: Vermont Teddy Bear Co. Over 100,000 Vermont Teddy Bears (named after Theodore Roosevelt) are made in this factory, one that, I must admit, I was ready to pass up in favor of spending an extra hour in Burlington a few miles away. I’m glad I didn’t. This sweet, upbeat tour takes you through all phases of a Vermont Bear’s construction, from Cutting to Hand Sewing (as babies are one of the largest recipients of a Vermont Teddy Bear, the eyes are locked into place and cannot be pulled out), to Stuffing and Distribution. 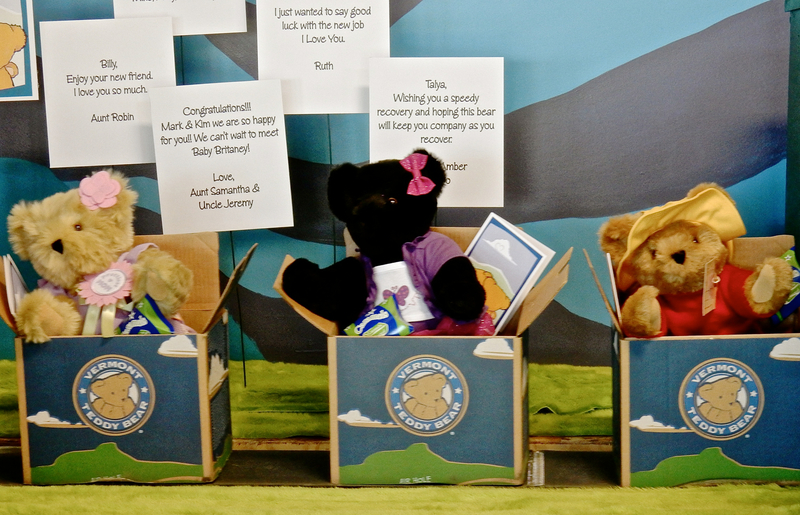 Many bears are made from scratch per order, with personalized monogramming of names and phrases (“marry me”) on paws. The stuffing – recycled plastic, hypoallergenic – comes out of the machines at 100 miles per hour. Limbs are locked into place, and the back of each bear is hand-stitched to close it well. 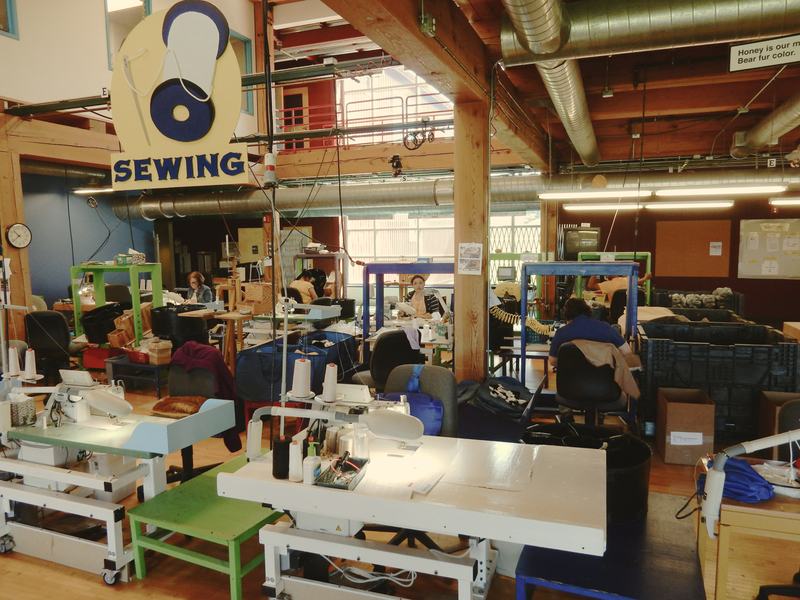 The company offers 200 outfits, each with a story. There’s a Mommy Bear with a “Baby Bump,” that, when removed, is a tiny bear in a wearable sling. A fan sent in a piece of her wedding dress to have a matching dress made for her own bear. Now, you can even send in a favorite picture for transfer on a bear’s shirt for the ultimate personalized gift. And yes, there’s a Bernie Bear – but also Hillary and Donald bears for buyers of every persuasion. 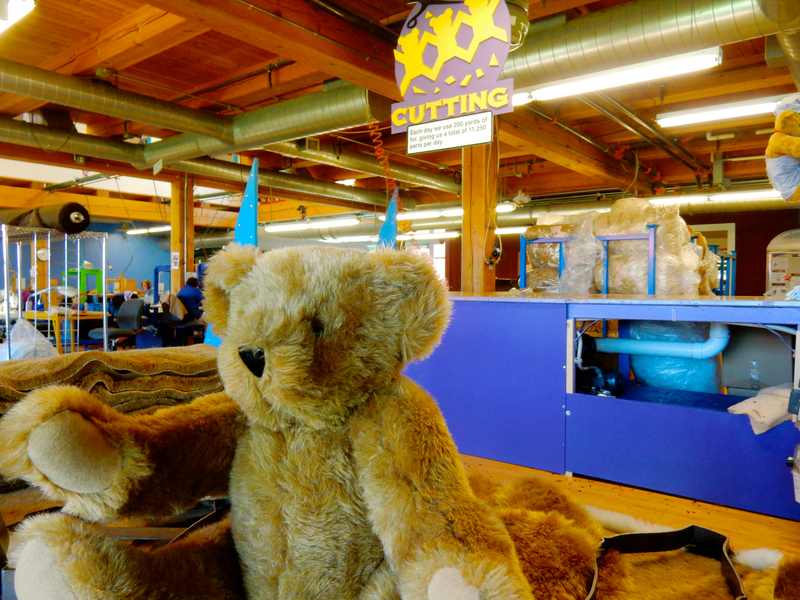 The shipping and receiving warehouse, called “Emerald City,” is where the bears are uniquely packed in a decorative box with Vermont Brownie included, “so the bear doesn’t get hungry in transit.” The box even has air holes. Vermont Bears are considered heirloom gifts and often become part of the family. 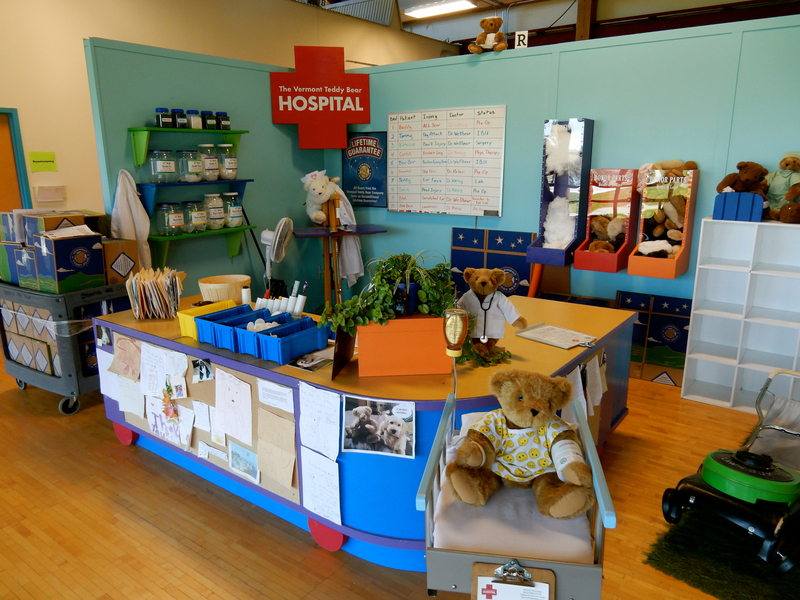 So it’s heartwarming to discover that the “Bear Hospital” offers free, compassionate care to each patient, forever. The name of each “sick” bear is listed, with the reason it was sent, on a dry erase board behind Dr. Nancy’s desk and operating table: ACL tear, dog attack, ear fuzz, and the terrifying “Lawnmower.” Dr. Nancy can fix most of these, but the lawn-mowed bear might be too shredded to make whole. In those situations, they are patched together as well as can be expected, and sent home with a new bear. Due to their durable construction and the fact that they are guaranteed for life, Vermont Teddy Bears are not cheap. The 15” Classic starts at $49.99, with a 6 foot version going for $200. 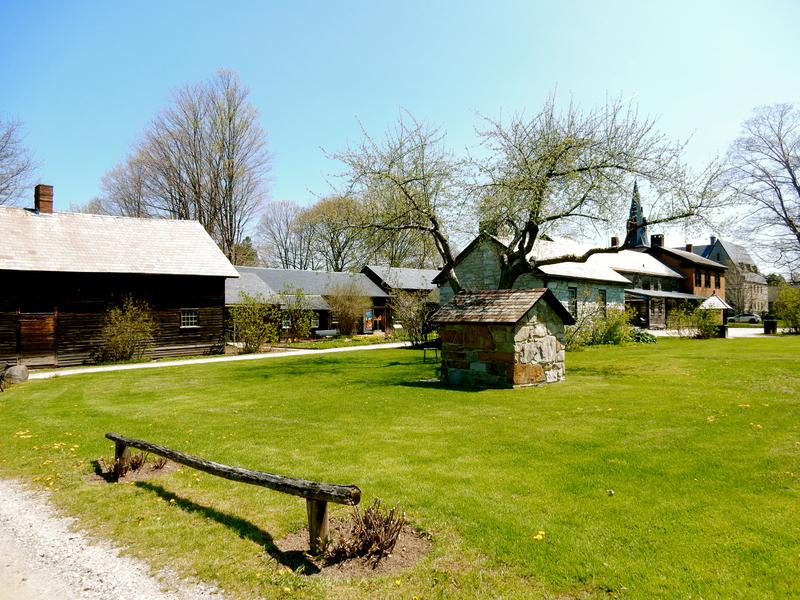 TOUR: Shelburne Museum. You’ll need at least three hours (though you can spend a weekend) seeing everything at this 39-building complex comprised of “collections of collections.” With elements of Williamsburg (VA), Winterthur (DE) and Greenfield Village (MI), the Shelburne Museum is one of the most unique assemblages of buildings, boats and bridges you’ll ever see. Brought to life by folk-art-collector society dame, Electra Havemeyer Webb, whose family is credited with bringing French Impressionist paintings to New York’s Metropolitan Museum in the 1920’s, and who married James Watson Webb, the son of Eliza Vanderbilt, The Shelburne Museum is as eclectic as Electra was eccentric. She started collecting weathervanes, trade signs, tableware, pewter, sleighs and so much more in 1911, amassing so much that she had to find acreage to house it all. 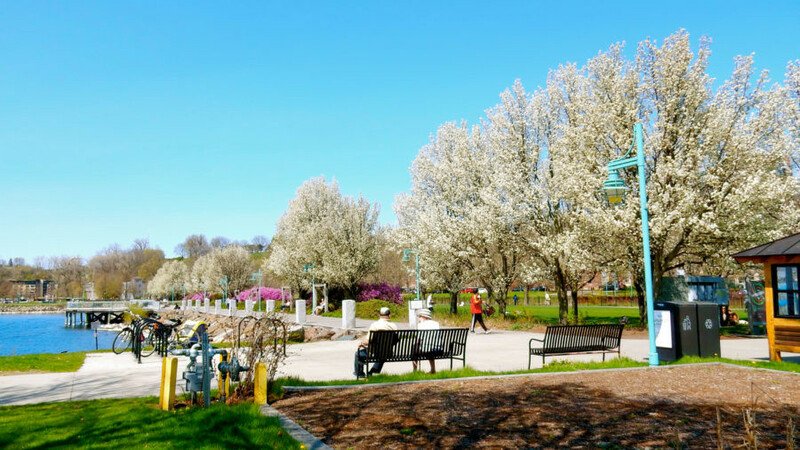 Come to see the 220ft Ticonderoga, a sidewheel steamboat that once plied Lake Champlain and is now permanently situated on the beautifully landscaped 45-acre grounds. It sits across a lawn from the Colchester Point Lighthouse (moved here in 1953), and the 1773 Prentiss Home (moved here from Hadley MA). You can walk into the 1890 Castleton Jail, churches, barns, and homes, made from stone and wood – each containing exemplary collections of antiques. 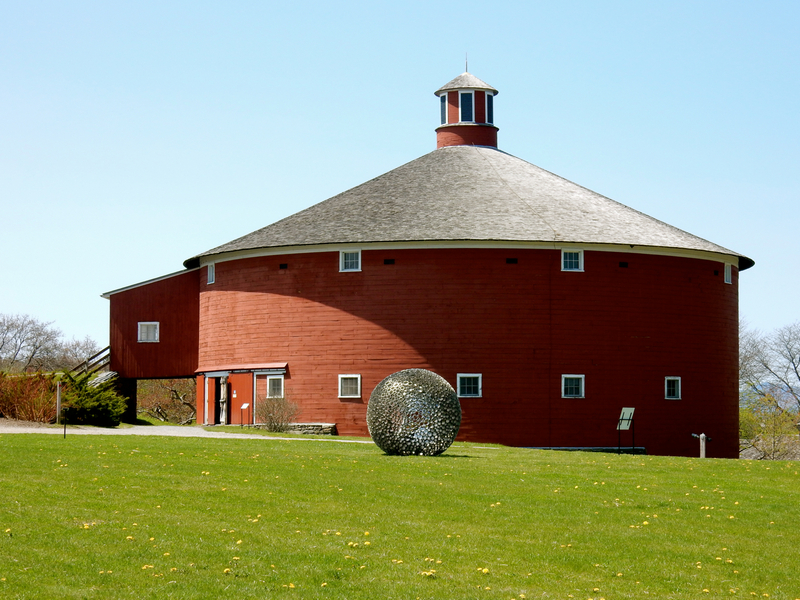 The newest building, a contemporary edifice designed by Ann Beha Architects, is counterpoint to the bright red round barn directly across the green. 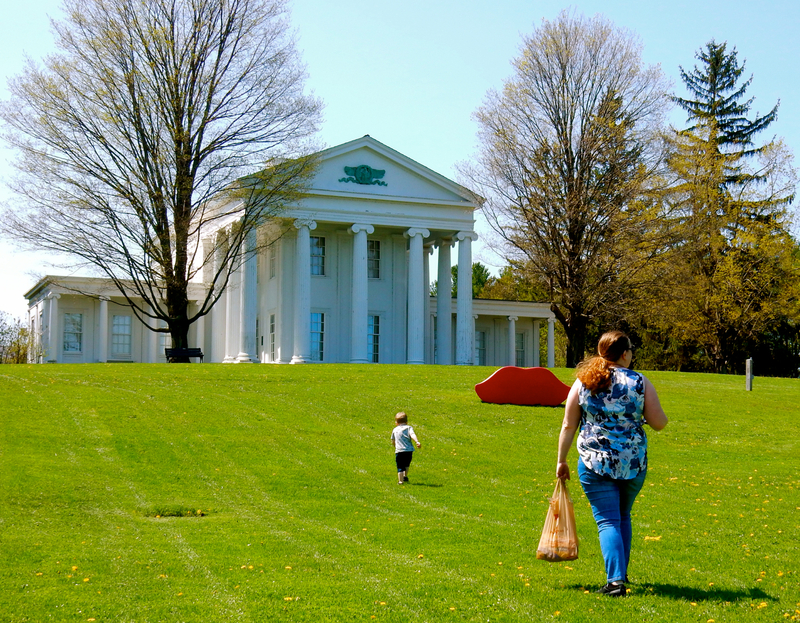 It’s these juxtapositions that make Shelburne Museum so compelling. $24 adults, $12 kids. Open May-October 10-5. 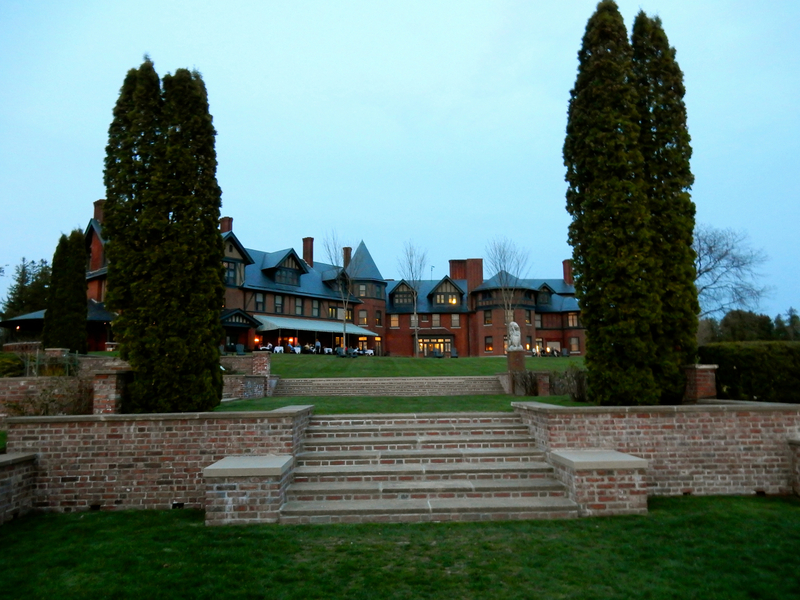 VISIT: Shelburne Farms National Historic Landmark. Like it sister attraction, Shelburne Museum, there’s a lot to see on this 1,400-acre working farm; nine points of interest including the Farm Barn, which houses the Children’s Farmyard and cheese-making facilities, the Dairy, where 125 purebred Brown Swiss cows are milked daily to produce the Farmhouse Cheddar (available at the Farm Store), the family summer home, now an Inn, and other attractions. To maximize your time, take the 1 ½ hour guided tram tour (runs 3 times/day). 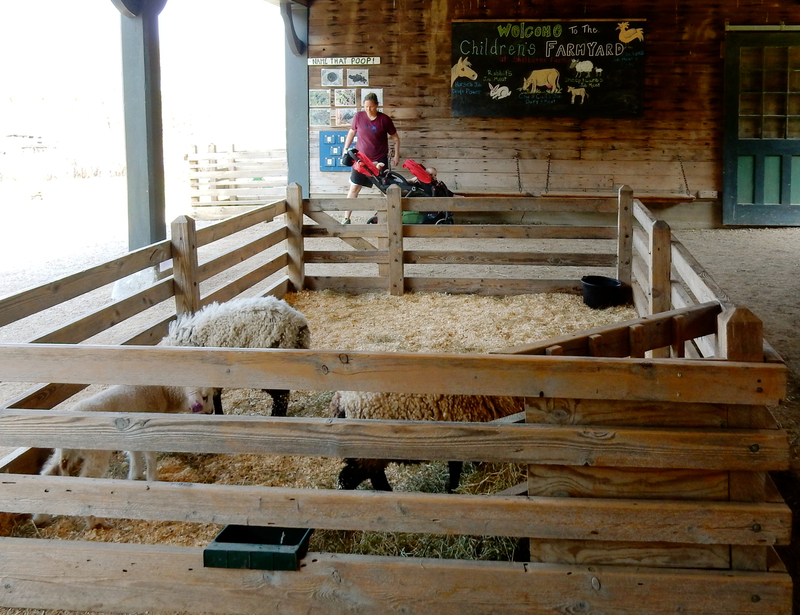 Or simply ride the wagon over to the Farm Barn’s Children’s Farmyard, which houses newborn animals and educational programming for kids and families. 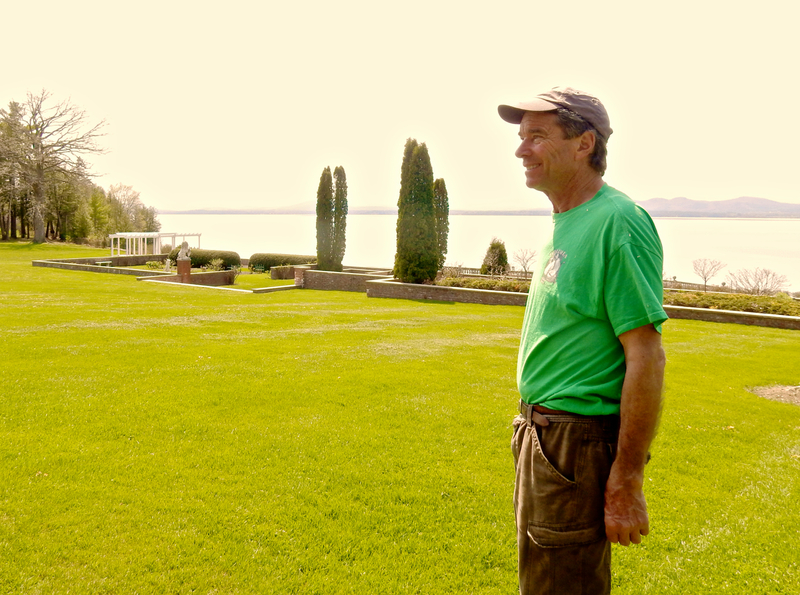 I lucked upon a VIP tour with Marshall Webb, great grandson of Lila Vanderbilt-Webb and her husband, William Seward: the original Webb’s who, in 1886, owned the property and built the stately stone homes and barns still standing today. Marshall and his brother Alec now run the non-profit Shelburne Farms, established in the 1970’s by all six siblings of his generation. Back then, the charitable component was comprised only of a summer camp and vegetable market, while the farm itself remained an active dairy business. Marshall’s father ran the farm until he died in 1984. Since then, education focusing on sustainable agriculture has become Mission Number One, so much so that the the Environmental Center had to be moved from the smaller Coach Barn to the larger Farm Barn (both strikingly substantial structures). The Lake Champlain-set Romanesque/Queen Anne stone manor house, on a landscape designed by Frederick Law Olmstead (who chose what to plant) and Gifford Pinchot (who determined where to plant), was Marshall’s family summer home from the 1960’s to 1974. In 1987, it became the Inn @ Shelburne Farms, a stunning 24 room seasonal hotel (no heat or air-conditioning in the rooms) with a well-regarded restaurant. I asked Marshall how he felt having strangers stay in his old childhood room. “I love it. 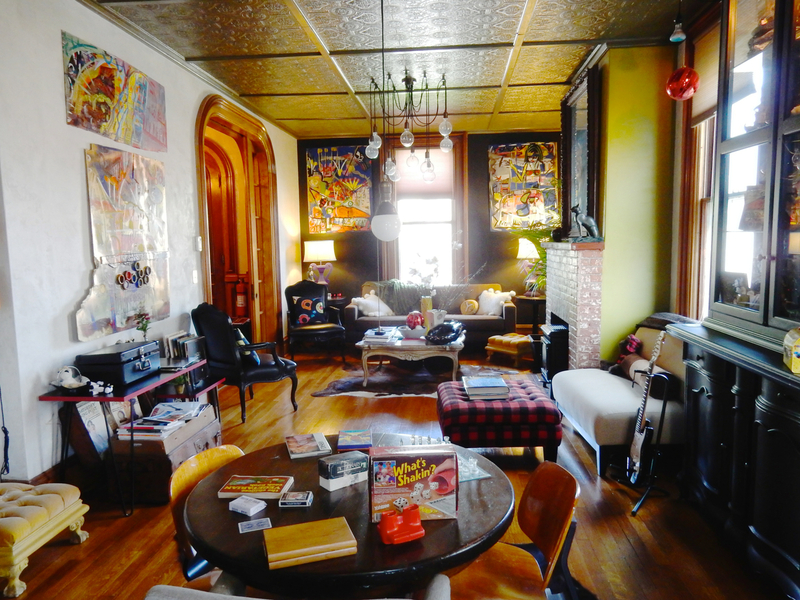 It’s keeping the house and memories alive,” he said. 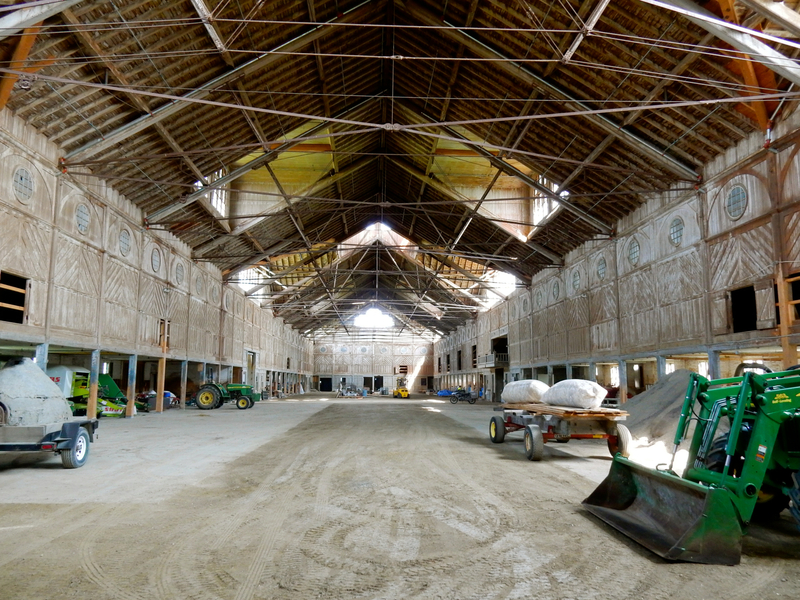 Lately, Shelburne Farms is working on renovating an original horse-barn to be used as event space, and recently, Green Mountain Power installed a solar panel field, which generates about 30% of the farm’s energy. Firewood cut from 400 acres of northern hardwood is also used as an alternate source of energy. Advancing sustainable forestry, Marshall is both Woodland’s Manager and “Special Projects Coordinator.” What kind of special projects? Well, the farm is growing its own shitake mushrooms – in tree trunks impregnated with spores – used by chefs at the Inn @ Shelburne Farm. People are drawn to Shelburne Farms for all kinds of reasons; its history, its celeb-designed landscape, to walk the 10 miles of trails, to eat in the Inn’s restaurant or stay overnight; but mostly to bring children to the Farm Barn to see and interact with the animals. Open mid-May to mid-Oct, daily 10-4, $8 adults, $5 kids, 1.5 hour tours additional $3. 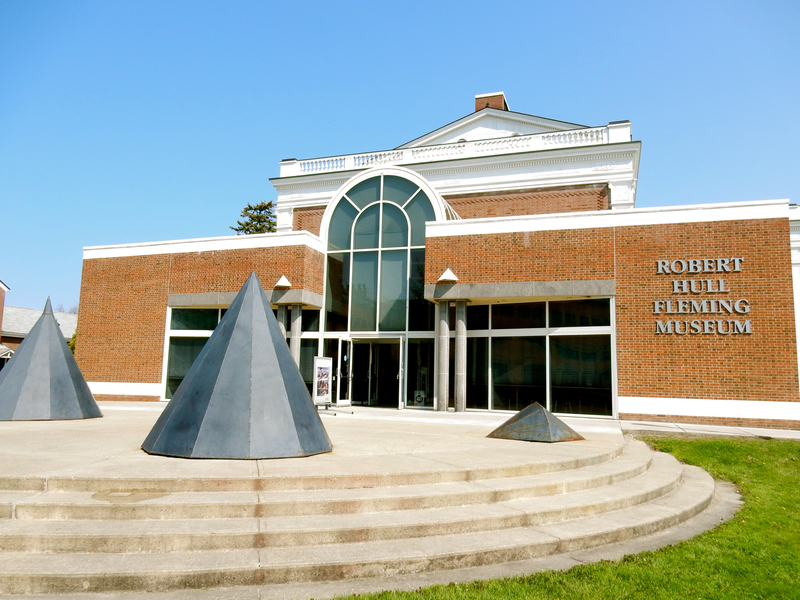 VISIT: Fleming Museum on University of Vermont campus. Larger inside than it looks from the outside, this accessible encyclopedic museum provides bite size exposure to the greats. Enter through a soaring Victorian Era space, with magnificent arched windows, and continue into the museum’s original entrance – a Greek Revival white marble rotunda with glamorous double staircase to the galleries above. You’ll find antiquities, Native American artifacts, European Art and the modern collection including Warhole, Roachenberg, Jasper Johns, Robert Indiana’s LOVE, and Lichtenstein among others. Open Labor Day to mid-May, Tues, Thurs, Fri. 10-4, Wed 10-7, Sat/Sun noon-4. $5 adults, $3 kids. 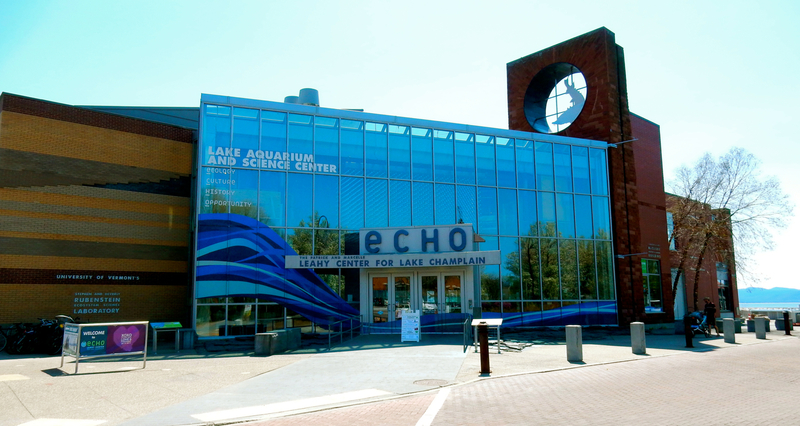 VISIT: ECHO, Leahy Center for Lake Champlain. An aquarium and science center right on the waterfront, ECHO is stocked with hands-on learning centers, games, and glass tanks filled with “lots of sturgeon,” according to a local. Mostly for kids, adults can relax while little ones crawl through the newest exhibit, Champ Lane. Open daily 10-5, $11.50 adults, $10.50 kids. STROLL: Church Street Pedestrian Mall/BCA (Burlington City Arts). 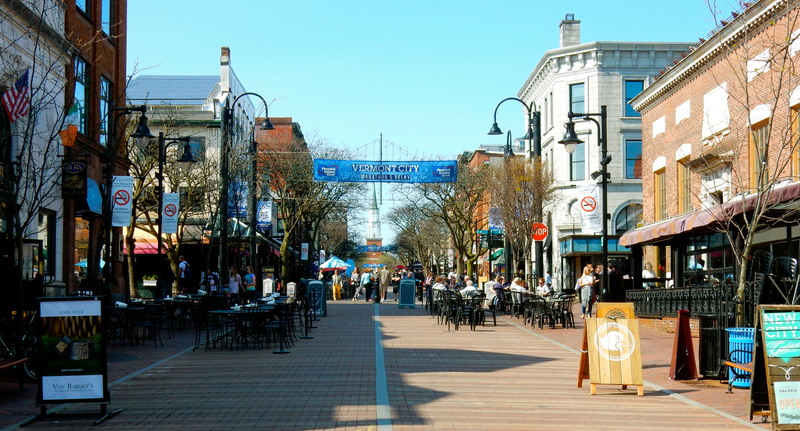 The “Centerpiece of Burlington,” you’ll find lots of shops, restaurants and art galleries – and of course, buskers strumming and singing for their dollars. 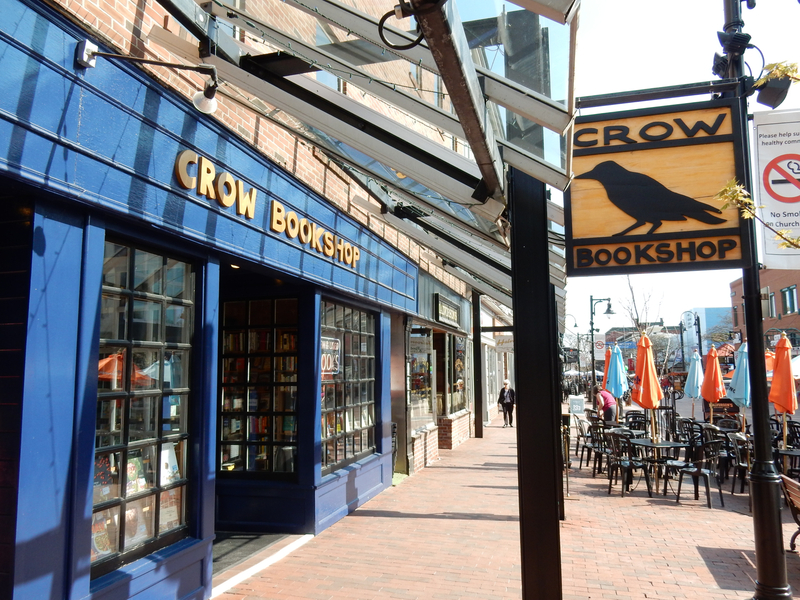 My favorite, of course, is the Crow Bookshop, which has been at this location for 20 years. 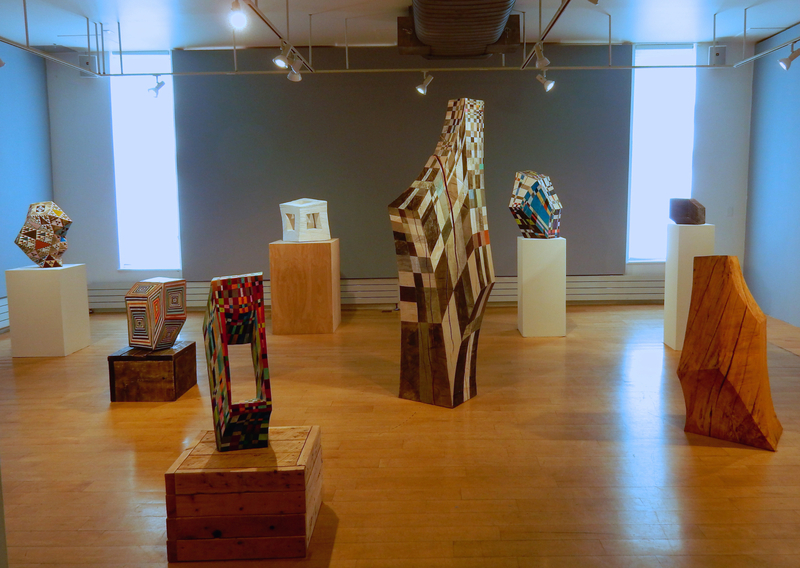 As you wander, be sure to step into BCA (Burlington City Arts), with three galleries on 4 floors. There’s always something new – art is contemporary, some bordering the provocative. BCA also offers classes – in photography, digital arts and clay and print art. SWITCHBACK BREWING CO. Switchback Ale, created in 2002, has a flavor profile close to a Red Amber American Pale Ale. 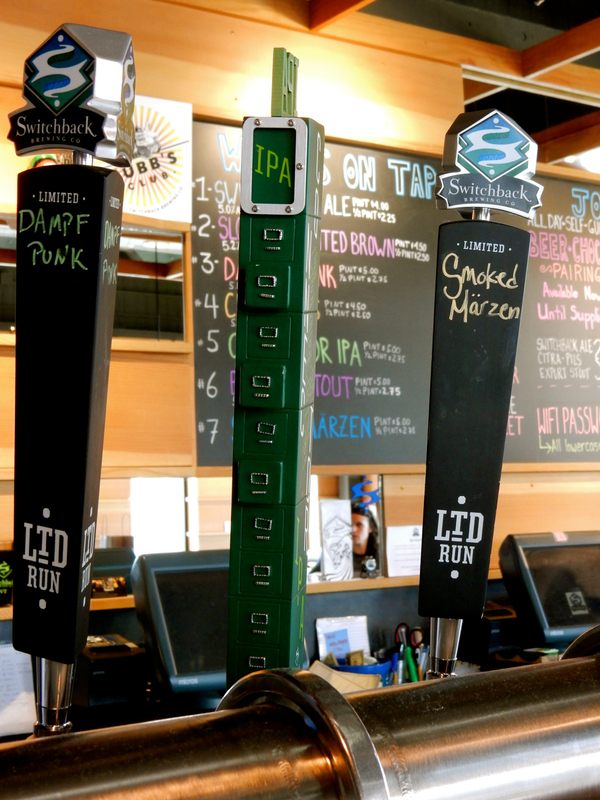 For years, Switchback avoided making IPA’s as everyone else was doing it, but in 2015, they launched Connector IPA, and according to Switchback folks, “it’s getting hot.” The Connector’s draft pull is based on the World’s Highest Stack of Filing Cabinets (see below), just down the street. 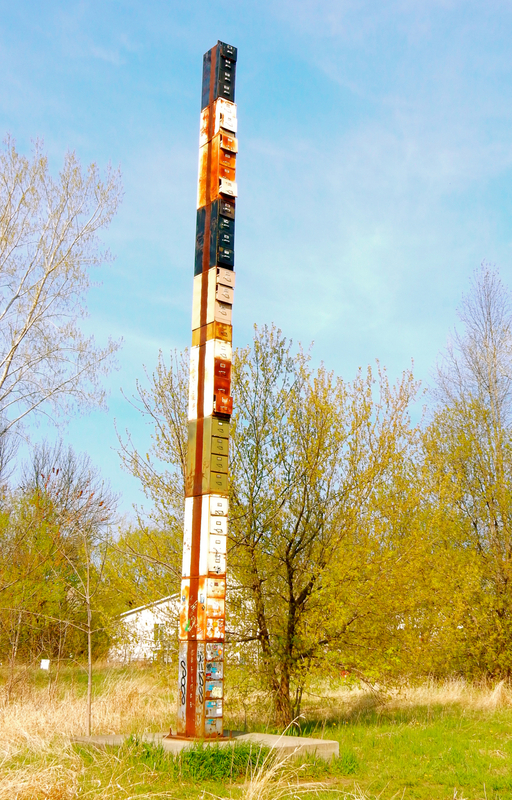 (The “World’s Highest Stack of Filing Cabinets,” on Flynn Ave., is a statement about the bureaucratic bullheadedness that prevented a highway from being built. Each of 38 filing cabinets stands for another year that the Champlain Highway was promised and never came to pass. A great Photo Op). ZERO GRAVITY CRAFT BREWERY. Once sharing space with American Flatbread (still with a small presence there), Zero Gravity Brewing just moved to this new location. Come for their flagships, Conehead India Pale Ale or Green State Lager, or break out to try something new. QUEEN CITY BREWERY. 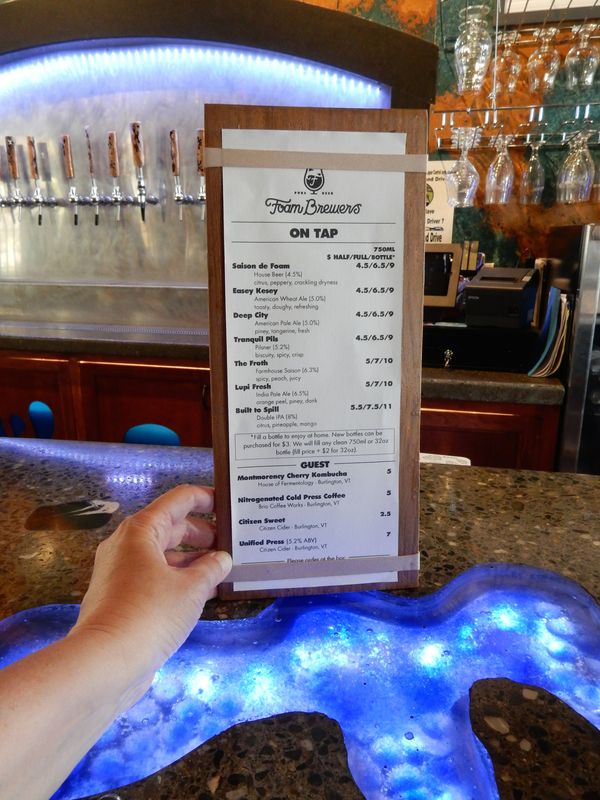 This brewery focuses on German and English style beers, with Porter and Hefeweizen the two best sellers. Situated in a warehouse out back, you’ll find bites like Bratwurst (what else? ), and local ciders and wines from other producers (“not everyone likes beer”). The ice-cold Porter, mild with chocolate-coffee notes is stellar. I’m a new fan. FIDDLEHEAD BREWING. 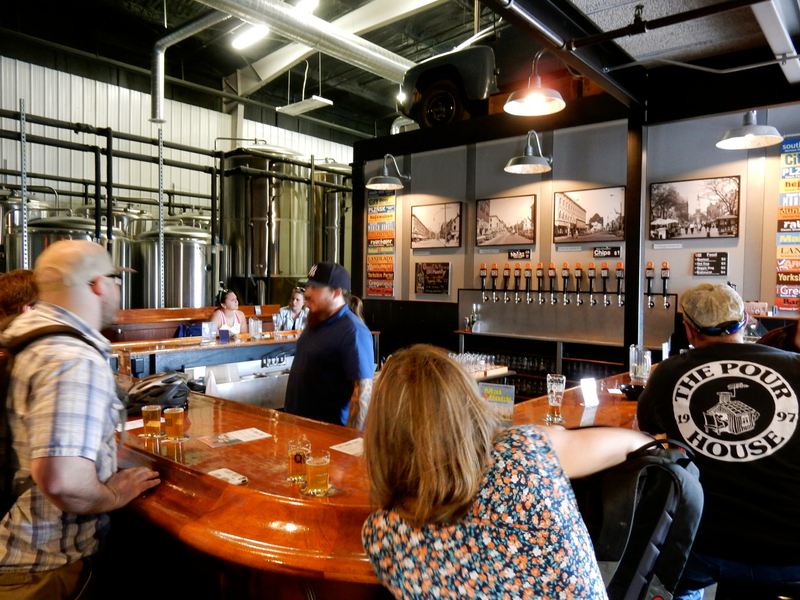 A bit out of town in Shelburne – across from Shelburne Museum – this well-regarded brewery shares a building with one of the best pizza joints in Vermont, Folino’s. Every so often Fiddlehead releases Second Fiddle (double IPA), rated 98/100 by Beer Advocate, in cans. On those days, there are lines out the door. Grab a four pack, and head next door. Everyone does. CITIZEN CIDER. You’ll be hard pressed to get a seat after work at this very busy cidery, which fulfils its “moral purpose” by purchasing fruit directly from local orchards and farms. No sugar is added to their blends, which consist of fermented whole apples, and natural flavors and colors, like blueberries. 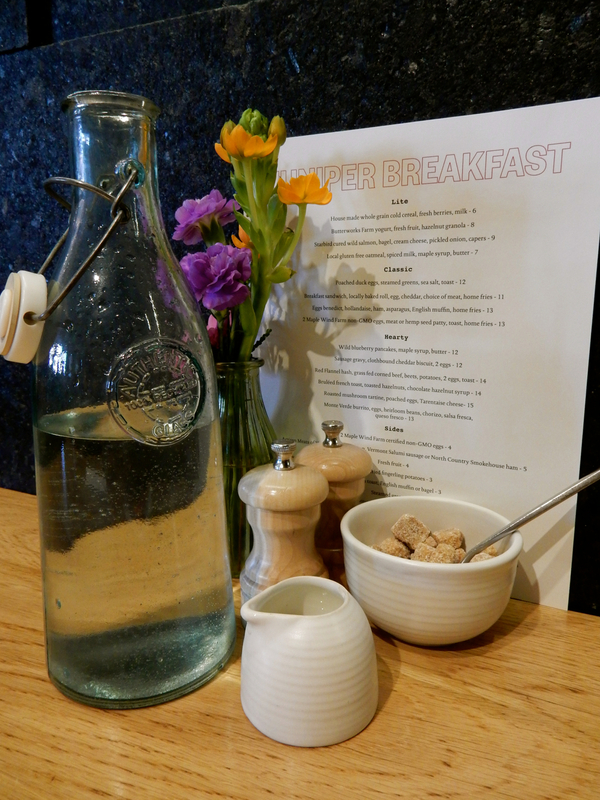 The flagship drink is United Press – a slightly sweet, appley, effervescent brew that tickles the tongue. Ginger lovers will want to order Dirty Mayor, a drier concoction that goes down with a spicy ginger snap. 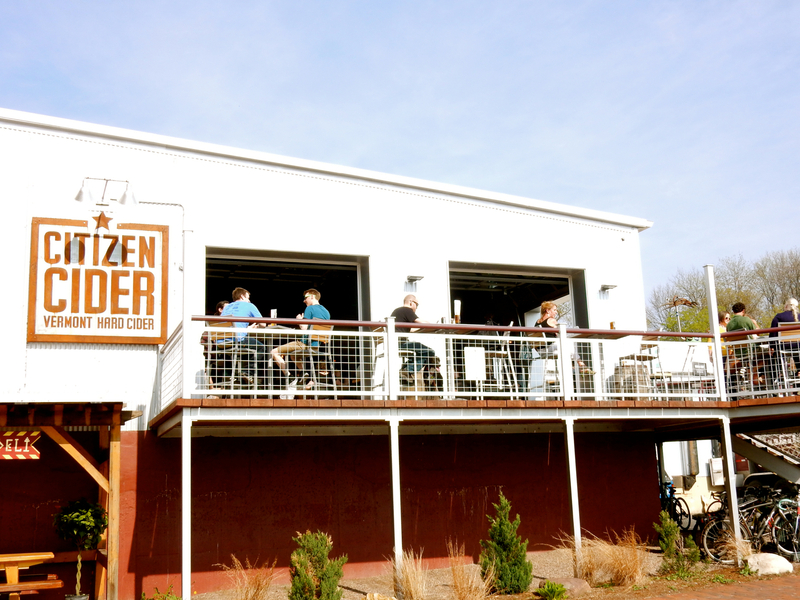 Cider is naturally Gluten-Free, so Citizen offers gluten-free rolls, crackers and sharable snacks for those with allergies. $7 for five samples. You might have noticed I left the Alchemist/Heady Topper off this list. 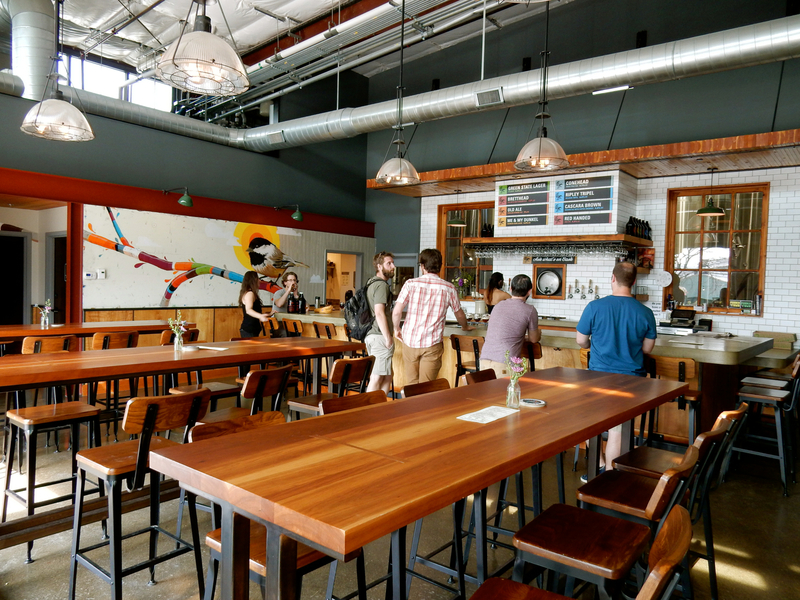 Though made nearby, Alchemist Brewing is not open to the public. They release a small amount of Heady Topper daily, and it’s usually a scramble to get to the package stores on time. ICE CREAM: Burlington Bay Market & Café. Don’t call it soft-serve! In Vermont, the kind of ice-cream that comes out of a machine is coined a “creemee.” And yes, you’ll want one – Maple flavor, please – from this stand with a deck overlooking Lake Champlain. (PS – Burlington Bay also gets Heady Topper deliveries. Call for times). EAT: Inn @ Shelburne Farms. You cannot get fresher meats and produce than this. A “very high percentage” of food served in this Lake Champlain set restaurant is sourced right on property. Beef ($36) and lamb come from Shelburne Farm cows and sheep, and from its 7-acre produce garden (salads, $12). Fish is right off the boat from Maine. Main courses run $30-$37; rather reasonable when you factor in the vista and ambience. 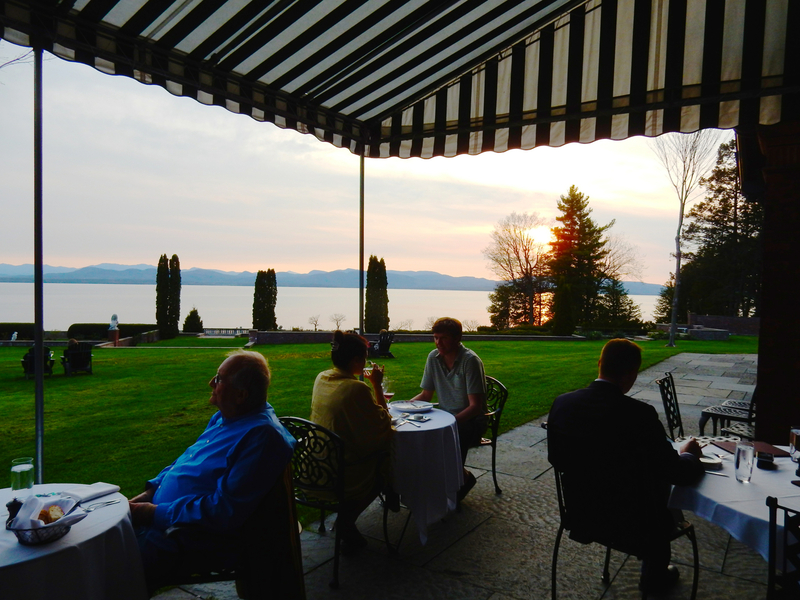 Reservations are really, really tough to get, especially around sunset, when patrons sit outside on the patio or atop Adirondack chairs on the expansive lawn to watch the Lake light up in pink and gold. EAT: Juniper. 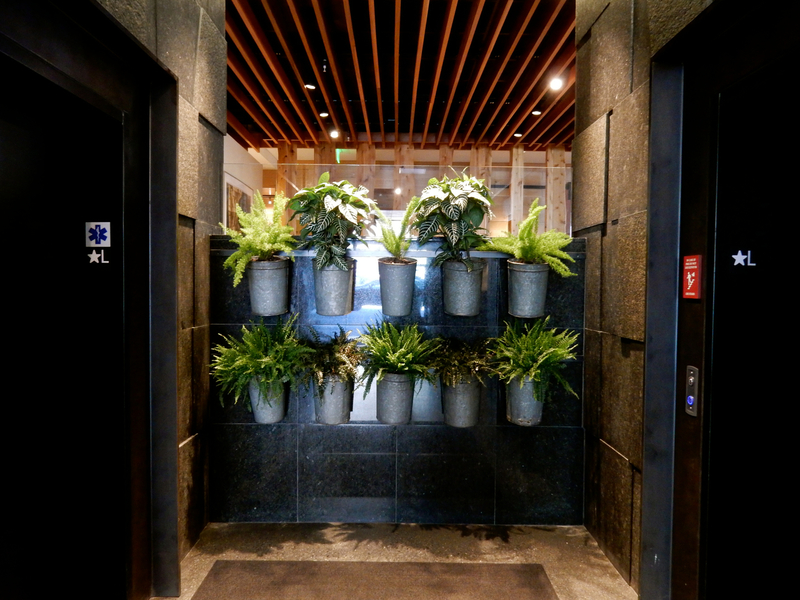 Set inside the Hotel Vermont, Jupiter is unlike most hotel eateries that tend to cater to mainstream tastes. This cuisine is innovative and done well – with dishes like Sliced Pickled Beets and Sunflower Tahini on Red Hen Bread (sandwiches $15-$18), and Cured Starbird Salmon Maki with Maple Mustard Miso and Cranberry Ponzu ($14). Cocktails rock, and of course the local cider (Citizen) and city breweries are well represented on the drink menu and at the eye-catching, lively bar. EAT: Hen of the Wood. Generally at the top of everyone’s list, it’s an earth-to-plate forerunner, and a difficult table to get. Plan ahead. EAT: Locals also like The Farmhouse, in a former McDonalds, for casual farm to table and a huge collection of craft beer on tap, American Flatbread, home to the original Zero Gravity Brewery, and bites at area breweries. STAY: Hotel Vermont. Only three years old, this chic boutique is everything an upscale Vermont hotel should be: environmentally conscious with judicious use of natural elements in a funky, eye pleasing décor. And this being Vermont – where locals take beer seriously – Hotel Vermont claims its own “Beer Concierge,” Matt Canning, who arranging day-long tours (see in Just the Facts), lets you know the where’s and when’s of the latest Heady Topper deliveries, and will point you in the direction of his favorite breweries. As a Maven Favorite, read full write-up HERE. Rooms and suites from $209-$650 depending on size and season. 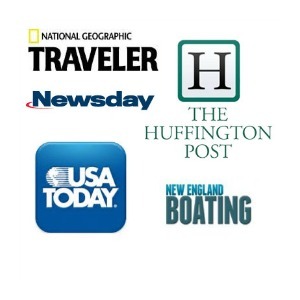 Summer rates start at $309. STAY: Made Inn Vermont B&B. This big dark Victorian, looking like something the Adam’s Family might rent, is a contradiction in so many ways. Fun and funky it’s a Maven Favorite, as well (for a very different, adventurous, style-loving clientele). Read full coverage HERE. Rooms from $229-$319 depending on size and season include wi-fi, drinks (soft, wine and beer), snacks throughout the day, buffet and made to order hot gourmet breakfast. Hi, Malerie! This is an amazing review! I really enjoyed reading it. This place looks magical! It has something to offer to anybody. Also, it looks like you had a great time exploring it, so I hope more people will go and experience it themselves. I was wondering, what do you think is the best time of year to visit Burlington VT?